Lash extensions are individually placed on each lash to create a fuller longer lash line. Each lash look is customized to the clients eye shape and desired look while still maintaining the health of the natural lash line. Lash Fills are Recommended every 2-3 weeks. Lash appointments require a $50 deposit to secure the appointment time. Classic Eyelash Extensions are 1 lash extension per your natural lash. Classic lash extensions are perfect for those clients looking for a more natural look. Hybrid lash extensions combines Classic lash extensions and Volume lash extensions. Classic lash extensions are 1 lash extension per natural lash. Volume lash extensions are handmade fans of 3-6 lash extensions placed on one natural lash. These two styles combined are called "Hybrid" this style gives a beautiful full look while not looking too heavy or full. We carry a full line of Eyelash Extension Aftercare in the studio that we recommend to our clients to help keep their lashes healthy and help our clients get the best lash retention. Proper lash aftercare is imperative for not only your lash and eye health, but for getting the best lash retention. 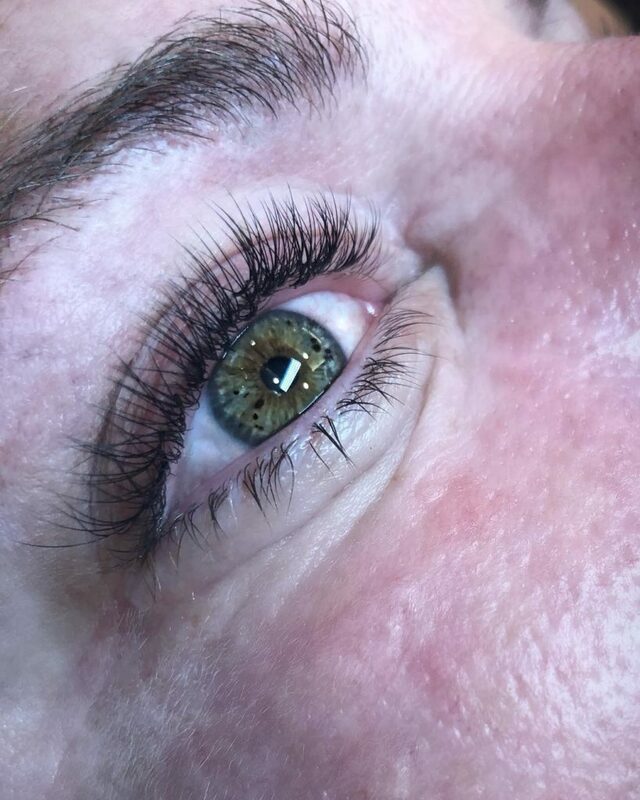 Without proper lash aftercare your lash extensions may not last as long as they should and you risk getting an infection if the lashes aren't kept clean and free of debris. Wash Lashes 2 times daily with an approved lash extension cleanser using a cleansing brush. Avoid using any product containing oil on or around the extensions. any oil products will break down that adhesive causing premature lash loss. Avoid eye makeup and creams with oil. Avoid sleeping on your side or stomach. We do sell sleep masks in our studio for those who need them. Be careful to avoid pulling extensions or rubbing your eyes. Use only water-based makeup remover. Do not perm, tint, or use an eyelash curler while you have extensions. Avoid high heat and steam. Remember your lifestyle and activities such as exercise, swimming, hot yoga etc. will affect your lash retention. Classic Lash Fill Monthly Membership - Keep your lashes lush and beautiful all month long with this membership. Enjoy 2 Classic Lash Fill services per month with this membership! book your lash extension appointment here!